It’s undeniable: Avocados are the A-listers of the produce section. Not only are avocados Instagram stars — there are 7 million+ posts with #avocado — adding avocado to anything instantly amps up the flavor of your meal. The answer, as is the case with most foods, depends on the details: how much you’re eating, how often, and what you’re pairing it with. Read on to get the 411 on avocado nutrition and how they can be part of a healthy, balanced diet. Avocados are a nutrient-dense fruit: You get a lot of bang (vitamins, minerals, healthy fat, protein, etc.) for your buck. You’ve probably heard that avocados are a good source of healthy fats, specifically monounsaturated fats, or MUFAs. Unlike trans fat, which is found in many processed foods and has the potential to raise your LDL (“bad”) cholesterol, monounsaturated fat promotes heart health and may help lower your LDL cholesterol. Avocados deliver vitamin C (helps support a healthy immune system), says Amy Gorin, M.S., R.D.N., and owner of Amy Gorin Nutrition in the New York City area. They also contain folate (helps regulate cell function) and vitamin K (bone health). Plus, avocados are an incredible source of potassium (supplying even more than a similarly sized banana! ), which, Gorin explains, can help maintain healthy blood pressure levels. That’s not all, though. Avocados also contain carotenoids (the pigments that give fruits and vegetables their vibrant color), specifically lutein and zeaxanthin, which play a key role in eye health, says Jackie Newgent, R.D.N., culinary nutritionist, and author of The All-Natural Diabetes Cookbook. 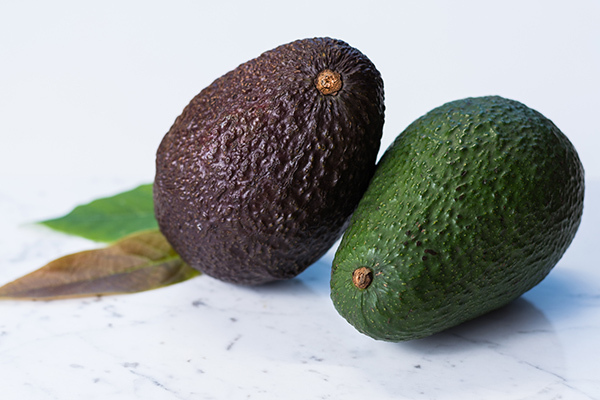 “What I love about avocados is that they’re this amazing source of monounsaturated fat — but you also get a bunch of fiber,” explains Denis Faye, M.S. and Beachbody’s executive director of nutrition. “They’re right up there with seeds and nuts in terms of benefits, in my opinion,” he adds. The 2015–2020 Dietary Guidelines for Americans recommend that women ages 19–50 get from 25–28 grams of fiber daily; men ages 19–50 should aim for 30–34 grams each day. But more than half of Americans get less than half the recommended amount. Not only does fiber facilitate good digestion, Gorin says, it also helps promote satiety. “It basically bulks up the diet to help make you feel full,” explains Newgent. Eating foods with a high nutrient content is just one half of the equation — to reap full health benefits, your body also has to properly absorb the nutrients you take in. And that’s where avocados can assist in that process. “They can act as a ‘nutrient booster’ by helping to increase absorption of vitamin E and other important fat-soluble nutrients,” Newgent explains. Fat-soluble nutrients — like vitamins A, D, E, and K — absorb into your bloodstream more effectively when paired with a source of fat. 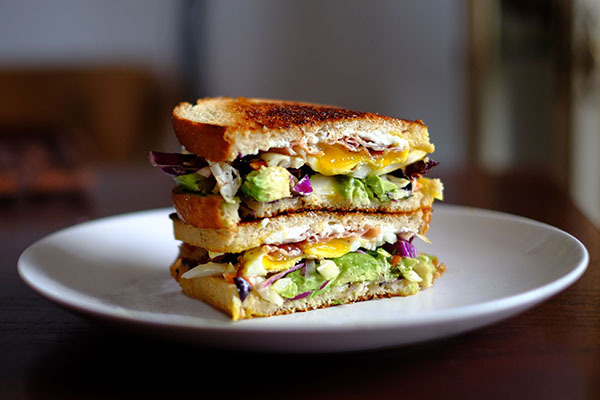 Avocados are delicious, sure, but their greatest appeal may lie in their versatility. They’re easy to slice and scoop and require zero prep work, and they have a creamy, mild taste that pairs well with a seemingly infinite amount of foods. Think whole-grain bread, tacos, eggs, veggies, smoothies, sushi, and more. They’re also perfectly tasty eaten on their own with a drizzle of olive oil and a sprinkle of sea salt. Is It Okay to Eat an Avocado a Day? If you love the convenience and buttery taste of nature’s fattiest fruit, it’s tempting — easy, even — to eat one every day. 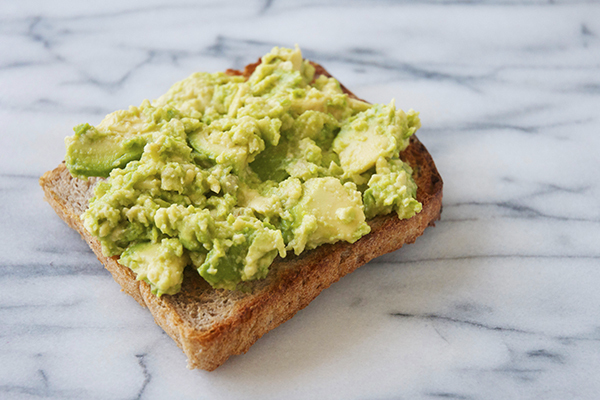 But is it OK to eat an avocado a day? “This really depends on what else you’re eating during the day,” says Gorin. Other factors, like your activity level and health goals, can also come into play. If you’re trying to lose weight, for example, eating one large avocado a day can rack up calories quickly. As a general rule, Gorin recommends eating no more than a quarter to half an avocado daily. Faye agrees and says it’s important to exercise caution when you’re eating avocado in the form of, say, guacamole, which can be tricky to quantify in terms of calories. “But half an avocado — which you can control — is only about 114 calories, which isn’t all that far off from fruit, so it’s a worthy caloric investment,” he explains. Pro tip: If you’re following the Ultimate Portion Fix nutrition program, a ¼ medium avocado (or mashed) fits in the blue container. She recommends topping your salad with avocado instead of cheese or layering avocado slices on your bagel or baked potato instead of cream cheese and sour cream. Other tasty (and classic) ideas: Add sliced or mashed avocado to soup, omelets, and veggie bowls. Give your desserts and baked goods a healthy makeover by using avocado as a substitute for certain ingredients. For example, “Avocado can replace some or all of the oil or butter in a brownie recipe,” says Gorin; same goes for chocolate mousse and muffins. This method adds extra nutrients to your food, while significantly reducing the calorie count. For example, two tablespoons of pureed avocado contain just 46 calories, compared to two tablespoons of butter, which contain more than 200 calories. You can take the same approach with savory recipes, too. 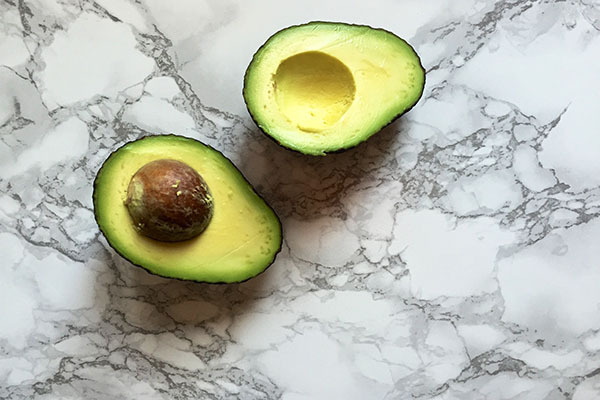 Gorin suggests using avocado instead of mayonnaise for healthy deviled eggs; you could also use it as the base for a vegan cream sauce, hummus, or salad dressing. “To help blunt a blood sugar spike, toss some avocado cubes in the blender with fruit smoothie ingredients,” suggests Newgent. Your smoothie will get a thick, creamy texture thanks to the avocado, and the combo of healthy fat and fiber will help keep you satiated for hours. These avocado recipes are healthy, easy to make, and full of flavor.